will do as soon as I get around to reading it. the reviews were pretty good. btw, Yale also published a work on Xerxes that has a somewhat similar title: Xerxes: A Persian Life. looks very interesting, will be getting it too, one day. good price for Grainger's book on Pen and Sword but delivery is pricie. Sorry for the late response, I didn't see this earlier. I'm not a historian, so I don't really browse this thread often. The historian(s) who concepted the North African units are no longer around. I took a look through the older threads in the internal forum, but I can't seem to find the relevant thread. The Maure units were concepted years ago. The newer versions redone by Tux a couple of months back were modifications of the existing unit. I can't find any information or discussion about the turban wrappings on the Maure units in that thread either. Sorry I can't be of any help. No worries, I appreciate the effort! The new ones look great, all things said. Also there is a new book about ancient Iberia coming out soon. It´s called Weapons, Warriors and Battles of Ancient Iberia by Fernando Quesada Sanz. An interesting title soon to be published: An Invincible Beast: Understanding the Hellenistic Pike Phalanx in Action. anyone knows the author? The first book is in OP Also I have pre-ordered the book long time ago, it looks as must need for Hellenistic fans. The author wrote book A Storm of Spears and the book has positive reviews. lol, how did it end up in the OP when the book isnt even out yet? a mystery:-) storm of spears was author's PhD thesis, iirc. im curious what his prose is like, how readable. i ordered the second book, like its angle and focus. i ordered the one on Punic Wars by U.S. Army Command and General Staff College. wanted to read a narrow-focused purely military perspective on the conflict (its only 80 pages or so). Frank L. Holt has written some excellent books. "Into the Land of Bones" covers Alexander's campaign, while "Lost World of the Golden King" covers the baktrian and indo-greek kingdoms. The latter has lots of (in my view, mildly interesting) stuff about coins, coin recovery and the "history" of baktrian archaelogy/history science. BUT it is probably the most concise knowledge base about Baktria and the indo-greeks. It is also, by far, the most modern book about this topic. H.G. Rowlinson, Bactria - The History of a Forgotten Empire. Pretty interesting book. I think along with Tarn's standard book one of the best sources about ancient Baktria. Less opionated than Tarn, I think, but Rowlinson's book also has some outdated stuff in it. Probably the best novel about the diadochi time period that I ever held in my hands. Really gritty, tough, "realistic", but a fantastic read. There is also a Czech book about Bactrian Kings and Indo-Greek kings and their coins called Encyklopedie řecko-baktrijských a indo-řeckých panovníku z pohledu jejich mincí by Michal Mašek, book has 400 pages. It´s pretty good. Maybe some czech speaking fans/readers will find this information useful. There is also publication called Operational issues of insurgency/counter insurgency: the Maccabean revolt by Ernest A. Szabo by them. Last edited by tomySVK; November 21, 2015 at 05:55 AM. I think Holt mentions the book by Masek in his "Lost World of the Golden King" book. What I like about the Golden King is that he introduces a lot of different theories and information, puts it into context etc. Very thorough and scientific approach. He does not claim to know what exactly happened, but he shows what is likely, what is maybe a bit less likely but still possible and so on. And like I said it's also great that it is very much up to date, while when you read Tarn, for example, you can never be sure what findings are already proven to be wrong by modern archaeology. Read this a few months ago and loved it. When I first started reading Roman history most books I read were mostly about the post Punic war era when Rome was already a great power so this book was perfect for me in bridging the cap from the foundation of Rome to the First Punic war. "As indicated by the title, the overall approach adopted throughout this volume is rather critical toward the general reliability of the surviving ancient sources of early Roman history. Agreeing with M. I. Finley's famous dictum that "the ancients' ability to invent and their capacity to believe are persistently underestimated," the author regards a critical approach as entirely justified and necessary." Updated the OP (we are running out of space there! ), thanks fellas. 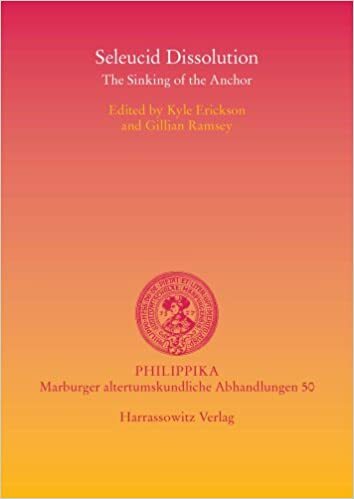 Do you read Seleucid Dissolution: The Sinking of the Anchor guys? Is it good? Nope, looks interesting, wouldn't mind having a look at it. In the fiction section, I recommend the Tyrant series by Christian Cameron. On the author's website he has a "prequel" short story about the main character of the first two books, Kineas of Athens. They're about his first battle, against Alexander at Chaeronea, Part 1 and Part 2. A recommendation for the fiction section that might be a bit off, but it's really excellent, possibly the best historical fictional autobiography ever written, and it's about a Roman emperor. I know that the time is a bit off, a couple of decades after the end-year of the game, but it's worth a read. The novel is basically an autobiographical memoir of the Emperor Hadrian, in which the aging emperor retells his life to his successor Marcus Aurelius. It's masterfully written and extremely well-informed, with a glimpse into the mind of the most powerful man in the Ancient world during his life, his life achievements, loves, failures, outlooks, and philosophy. Yourcenar won instant acclaim in the 1950s when it was published (after a decade of writing), and the book is still considered the golden standard for writing historical (biographical) fiction. It's basically what Flaubert's Salammbô was supposed to be. She was also the first woman to be admitted into the Académie française. All in all, I loved the book as a glimpse into Antiquity other works of scholarship and fiction can rarely achieve - I also quite fondly remember her essay about the writing process and trying to situate her story in the long-gone days. 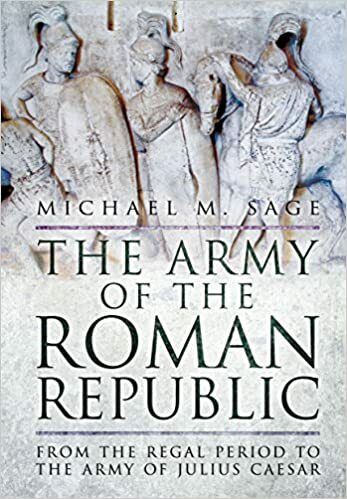 There is a new book about Republican Roman army coming out next year by Michael M. Sage called The Army of the Roman Republic: From the Regal Period to the Army of Julius Caesar (Pen and Sword publisher).